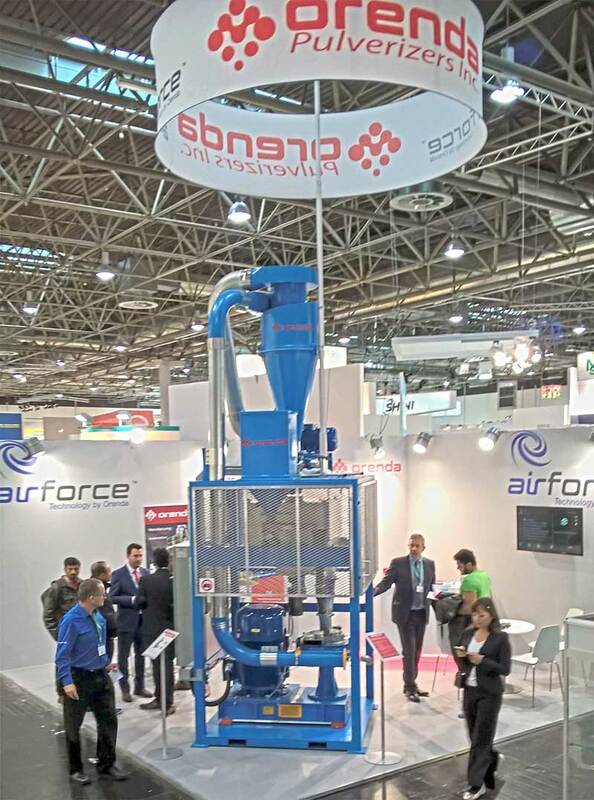 During the K 2016 (Dusseldorf, Germany), Orenda Pulverizers Inc. introduced two new AiForce® technology series pulverizers. The AirForce® H1D350 and the AirForce® H1D350+. Smaller in size but with the same features and proven technology as the larger flagship model AF H1D500. Orenda’s international sales team was answering questions from the enthusiastic industry professionals who were looking for in-depth information as to the inner workings, benefits and advantages of this new revolutionary cost- effective technology. Orenda is making it possible for anyone who utilizes powder to produce it easily and economically in their own facility.